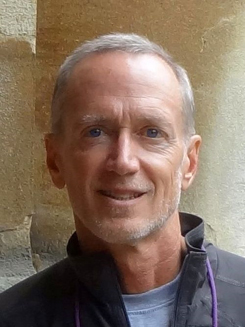 Keith Pyeatt writes a style of paranormal thrillers that he calls “Horror with Heart.” He starts by creating characters that feel real and whose company he’ll enjoy for the long haul of writing and editing a novel. He drops in a paranormal threat that those characters can’t ignore and then tops it off with a strong psychological twist (or two). Keith began writing while living in the rural woods of Vermont. He moved to Albuquerque and was very active in SouthWest Writers, serving on the board for four years, three of those years as an officer. He now lives in Tucson, Arizona. He has four published novels. 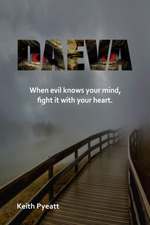 The latest, Daeva, was released in October 2015. When evil knows your mind, fight it with your heart. Trapped for centuries inside mortal minds, a manipulative demon with a grudge against humanity finally finds a host he can use to set himself free into the world. Sharon, the host’s sister, works tirelessly to help her brother resist the demon’s influence, but by the time she fully understands the threat to mankind, she’s become the key to the demon’s success. Her death will either empower the demon or destroy him. A new world beckons inside the mind of mentally challenged Wesley Henson, a world that offers him a gift he can’t resist: knowledge. He carries his gift back to the physical world, unaware of the dark instincts that come with it. The knowledge builds Wesley’s intellect and gives him the ability to heal two sick friends, but the instincts thrust him into an evil contest he doesn’t understand, against opponents who have trained their entire lives to compete. Wesley must fight for his life in two worlds while piecing together his mind and coming to terms with his heritage. The more he understands, the harder it becomes to tell good from evil and the more difficult his choices become. 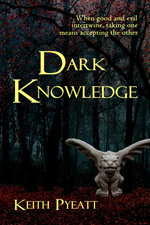 What must he sacrifice to save the world from his dark knowledge…his life or his soul? A power awakens, a destiny begins. 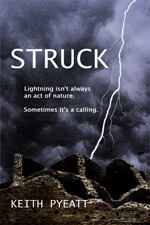 When lightning strikes Barry Andrews as he hikes Albuquerque’s west mesa, it’s more than an accident of nature. It’s a calling. A power-hungry man tapped into powers long buried in the ancient Anasazi ruins in Chaco Canyon. Unless Barry can learn to trust a Native American elder, accept his role as warrior, and give up all he holds dear to confront an empowered adversary, life on Earth will soon end. Jenna’s grandmother has always taken solace from her ability to communicate with family members who have recently “passed on,” but Jenna’s first experience isn’t comforting at all. It’s a desperate plea for help. 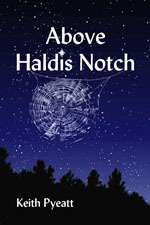 A vengeful spirit, her deceased neighbor Jake, is trapping souls from Haldis Notch, Vermont, intent on making them suffer for not accepting him in life. Jenna can reach the plane of existence where the spirits are trapped and dying, but to stop Jake from killing them, she must first understand his motives. The more Jenna understands, the deeper she’s drawn into Jake’s trap, and if she falls victim, every soul in Haldis Notch will suffer the ultimate retaliation for the petty grudges they held in life. 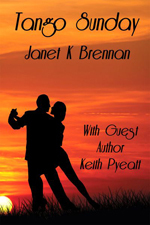 Tango Sunday is a collection of fictional short stories about life on the edge. In Janet Brennan’s seventh book, she never fails to seduce the reader into realizing that life is not always as it seems to be.